Not just the elements at work. 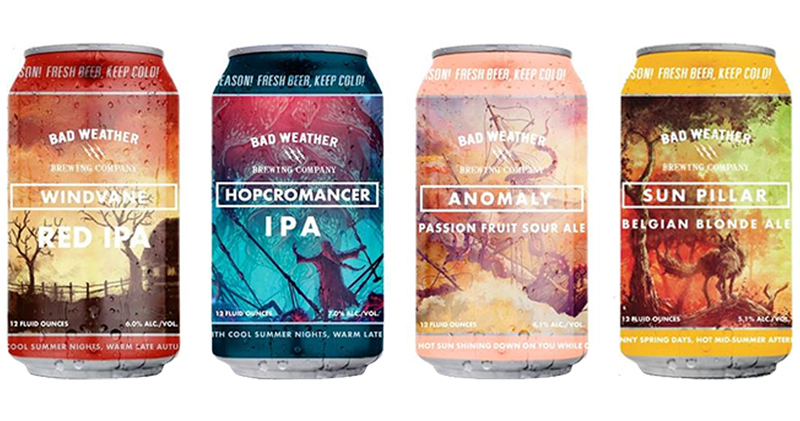 Bad Weather Brewing Company brews great beers for any season. 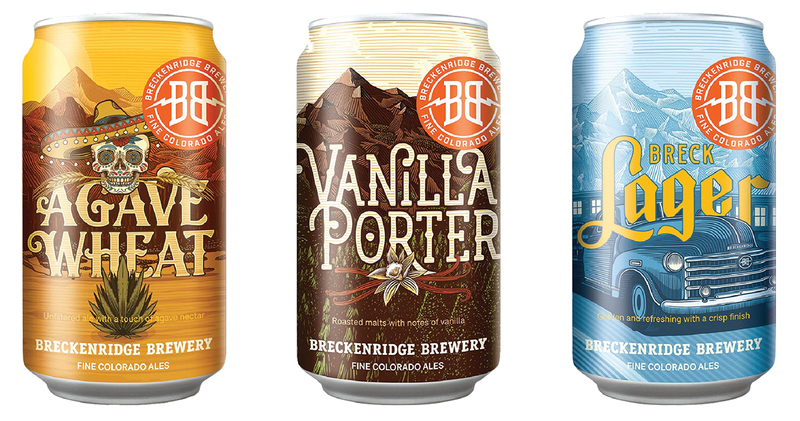 Breckenridge Brewery opened its doors in 1990 in the mountain town of Breckenridge, Colorado. It’s the third-oldest craft brewery in the state. Nestled below the slopes on Main Street, the brewpub continues to delight locals and visitors with a lively atmosphere, delicious pub fare, and of course, a great selection of beer. For High River Brewing, it’s about more than beer. It’s about community. They chose High River because this town is made of people who have risen to every challenge – and come out stronger because of them. High River Brewing’s taproom is a place to celebrate with old friends and toast to new ones. It’s a place to share stories of triumph, folklore and legend. 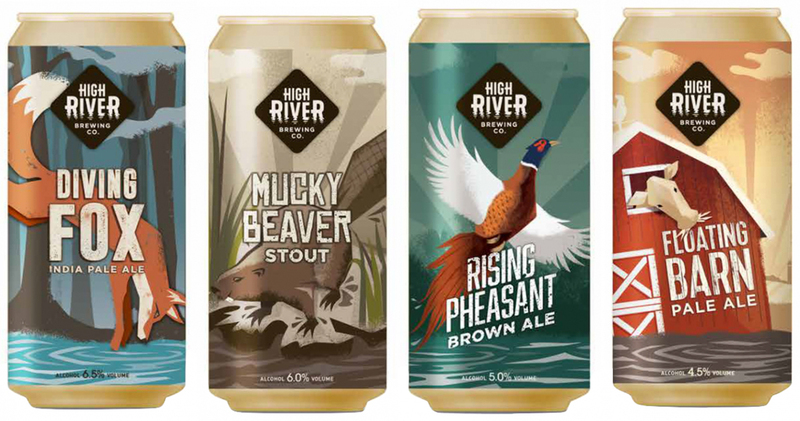 High River Brewing Co. is here to brew the beers you’ll be drinking when you’re living out your next great story to tell. 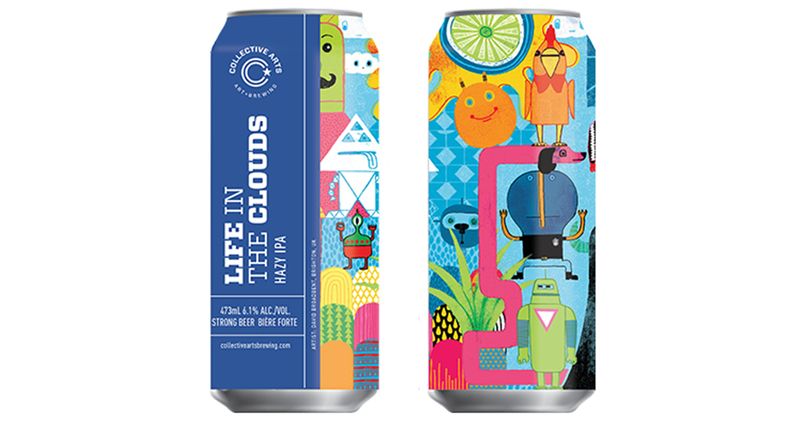 Collective Arts Brewing is a craft brewery in Hamilton, Ontario, founded by Matt Johnston and Bob Russell. It is a grassroots craft brewery whose mandate is to combine “the craft of brewing with the inspired talents of emerging and seasoned artists, musicians, photographers & filmmakers”. 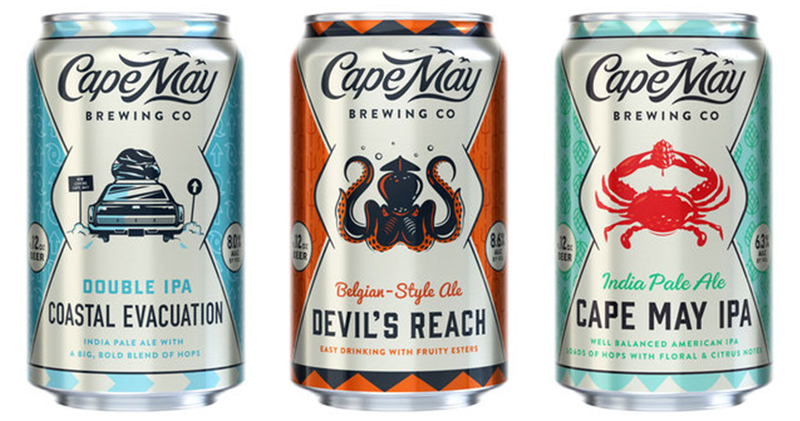 Cape May Brewing Company began with one simple question: Where’s all the beer down here?? With that in mind, Cape May Brewing decided to provide South Jersey with fresh, delicious, local beer to put New Jersey on the map as a craft beer state. 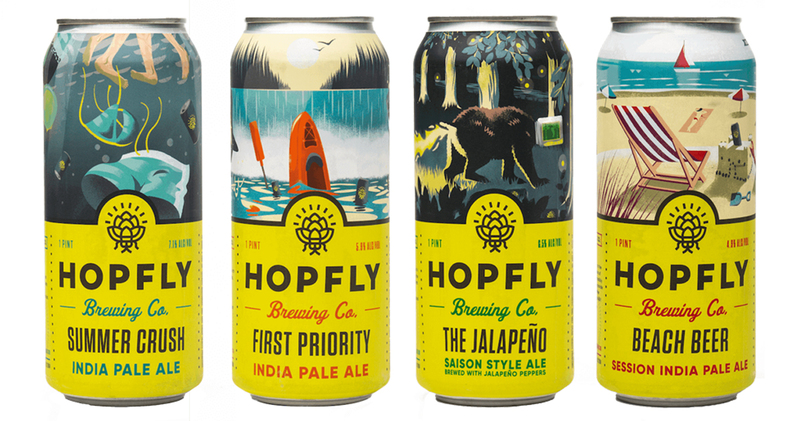 HopFly Brewing creates beers that are bold, yet approachable. Beer for every adventure. Established in 2012, Noble Rey Brewing Co. is the brainchild of founder and sometimes brewer, Chris Rigoulot. Noble Rey is a unique and forward thinking brew pub that opened October 1, 2015 with six core beers. “Be Noble. Drink Noble.” is not just a slogan to us, it’s our way of life. 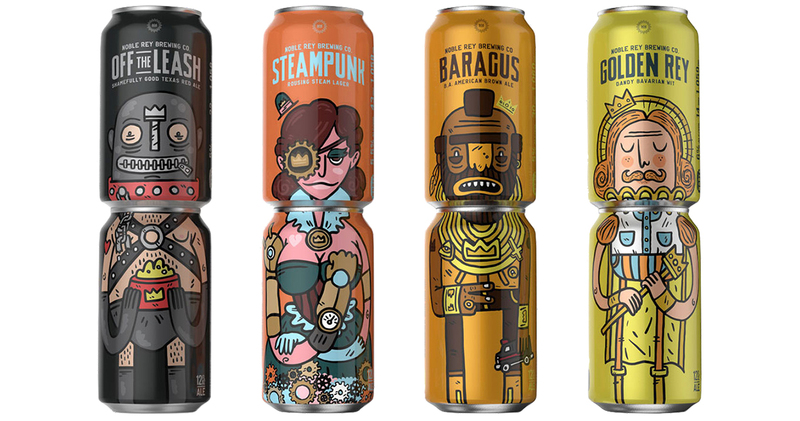 Want to see more awesome beer can designs? 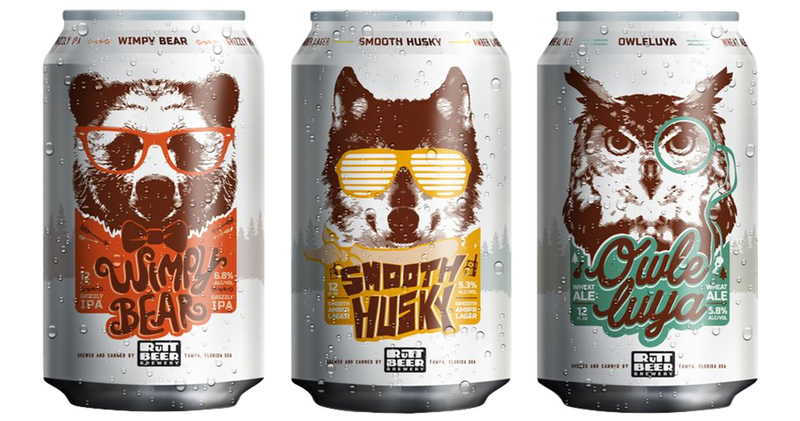 Rutt Beer is a small, home-brew brand “rooted” in the name of its brewmaster, Jeff Rutti. 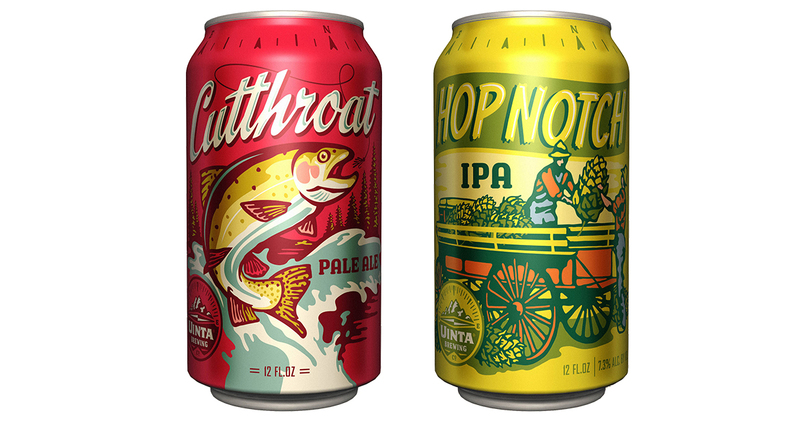 Rutt Beer has a personality that has no limits; one that required an engaging, fun, approachable image that reflects the beer inside the can. 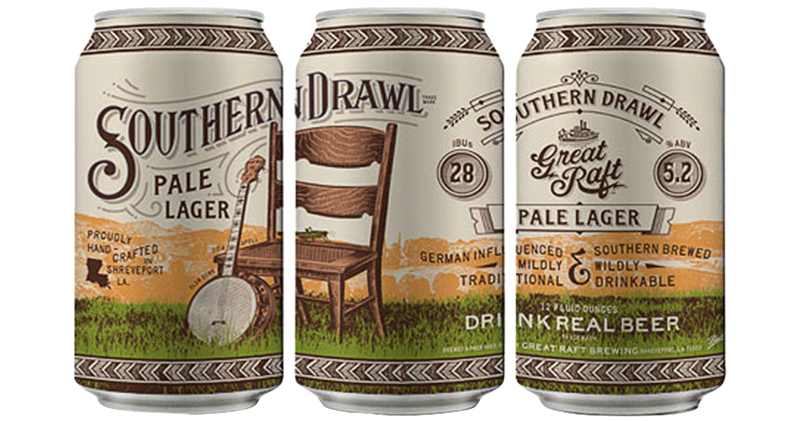 Beer cans designed by StudioMax Design. 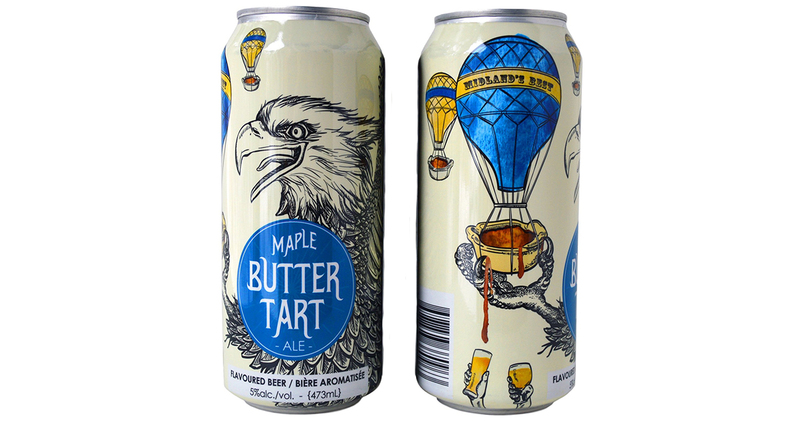 Located in Gravenhurst Ontario, the gateway to Muskoka, Sawdust City Brewing Company is dedicated to the art and science of creating exceptional craft beers. They produce traditional ales in an array of styles, but there is nothing traditional about the flavour. Sawdust City’s brewmaster, Sam Corbeil, and his talented team create award-winning exciting beers that expand the borders of traditional flavour profiles. The rule at Sawdust City is there are no rules. Sawdust City is here to make great beer. At Sycamore Brewing, they believe fresh beer made with top-notch ingredients should be enjoyed by everyone. 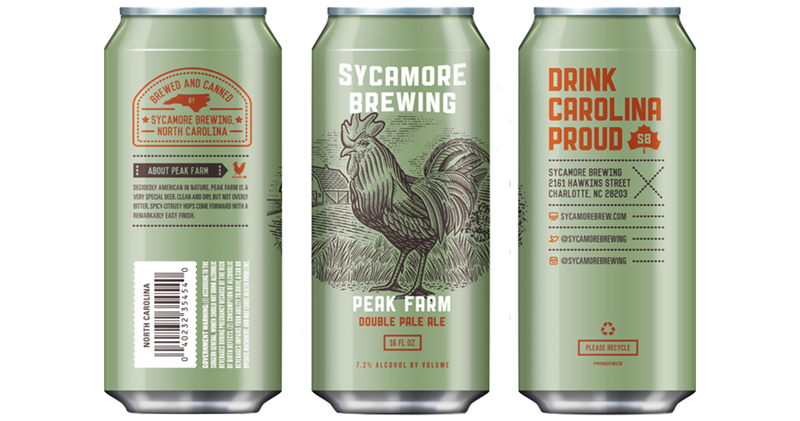 So, a few years back, with proud roots in Charlotte, Sycamore Brewing set out to brew beers that bring people together and drink easy from the first sip to the last. After humbly perfecting some of their favourite recipes over the last decade, Sycamore Brewing is honoured to share them with you. Uinta’s founder wanted to brew the country’s best beer, so he moved to the country’s least beer drinking state. He named his brewery after a mountain range that even people here mispronounce (you-in-tuh). 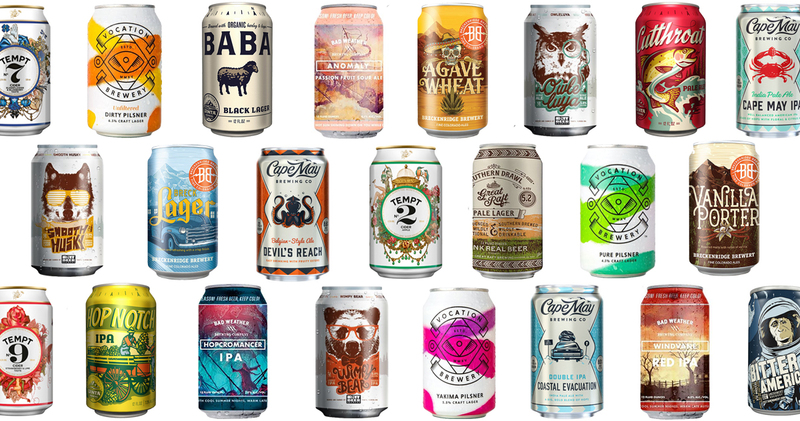 Uinta Brewing Company has been brewing and exploring since 1993, and here’s what they’ve learned: there’s no one right way to get anywhere. Vocation Brewery is an independent brewery based in Hebden Bridge, Yorkshire, England. 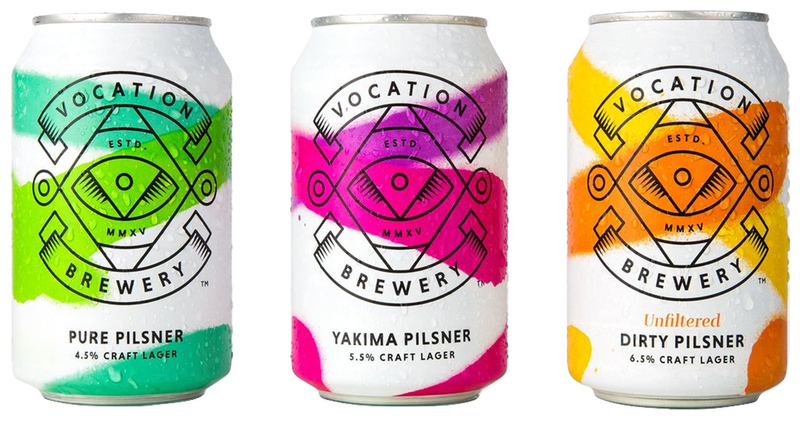 Vocation Brewery started in 2015, with two people and a van. 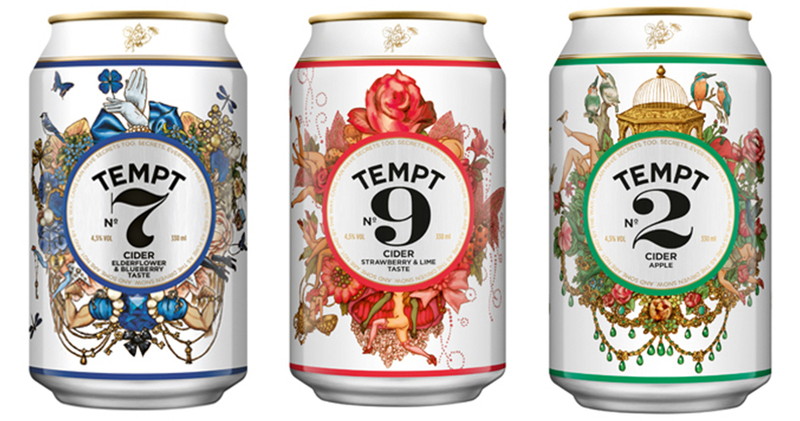 Since then they’ve grown rapidly and now sell around four million cans a year through independent outlets, major supermarkets and world-wide export. 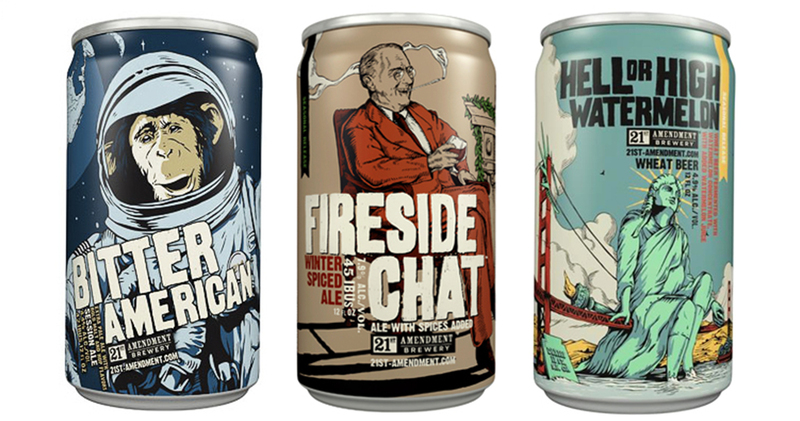 In 2000, Nico Freccia and Shaun O’Sullivan founded the 21st Amendment Brewery in San Francisco’s historic South Park neighbourhood. The popular brewpub is now at the heart of the new city centre, just south of the financial district and only two blocks from the San Francisco Giants baseball park. In addition to eight rotating taps of multiple award-winning hand-crafted house beers, the pub has been voted “Best Brewpub”, “Best Burger” and “Best Happy Hour” by the San Francisco Press.